Dr. Marguerite Germaine is a board certified dermatologist and creator of a variety of skincare products. Practicing out of Charleston, South Carolina, she has been voted best dermatologist for 13 consecutive years. 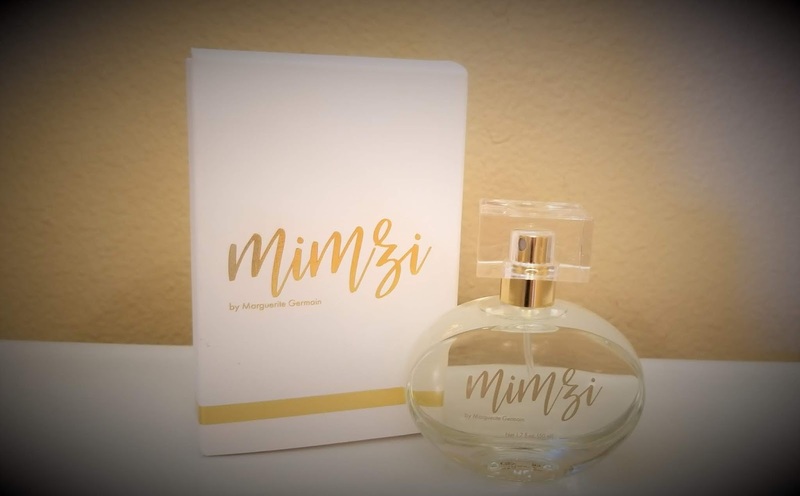 The latest addition to her accomplishments is the fragrance Mimzi by Marguerite Germaine, created in celebration of her mother, affectionately known as "Mimzi". The lovely 1.7 fl.oz. bottle is filled with a scent that combines citrus and floral. To be honest I do not wear Perfume very often because I am very particular about what I like. I am not a fan of overly floral scents or anything too woods-y. I tend to stick to light airy scents with a touch of sweetness. However, I am really enjoying this perfume. It's floral notes are very light, the citrus notes smell of lemon. It smells wonderful and for some reason it makes me think of a fairy garden. Dr. Germaine did a great job honoring her mother with this enchanting perfume. You can purchase your bottle by visiting Germaine Dermatology online.